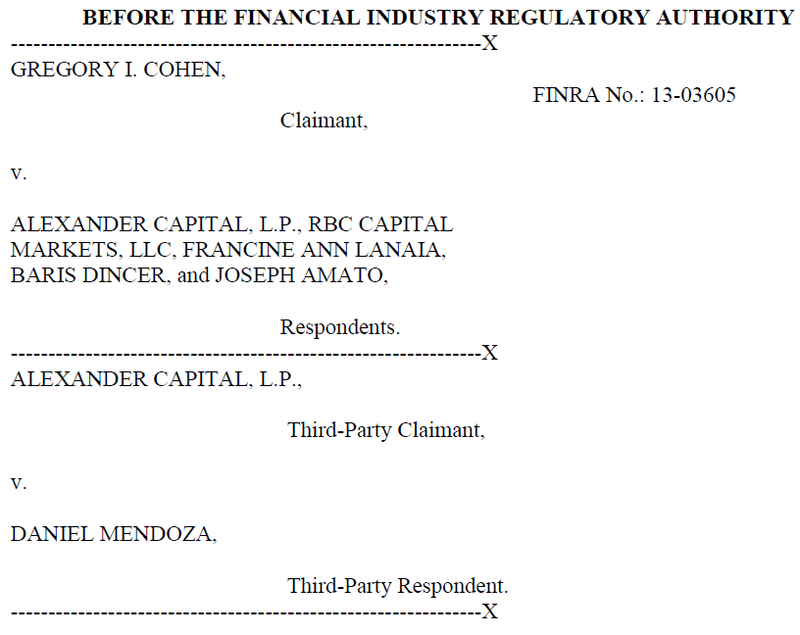 We will distribute a much larger report shortly but in the meantime consider another example of a bad broker who failed to report an arbitration filing against him. Ms. Lanaia’s May 31, 2016 BrokerCheck lists Case No. : 13-03605 as pending. Mr. Amato’s May 31, 2016 BrokerCheck also lists Case No. : 13-03605 as pending. Mr. Dincer’s May 31, 2016 BrokerCheck can be downloaded by clicking here. While he had already been terminated twice by prior employers he had no reported customer complaints. Mr. Dincer’s July 12, 2016 BrokerCheck can be downloaded by clicking here. He now reports a customer complaint – a newly filed June 2016 arbitration. Mr. Dincer was able to service existing customer accounts and solicit new customers for two and a half years and counting without disclosing this arbitration filing, a filing his supervisors also named as Respondents did disclose. During this period, Mr. Dincer apparently has been able to inflict further harm on at least one other investor. 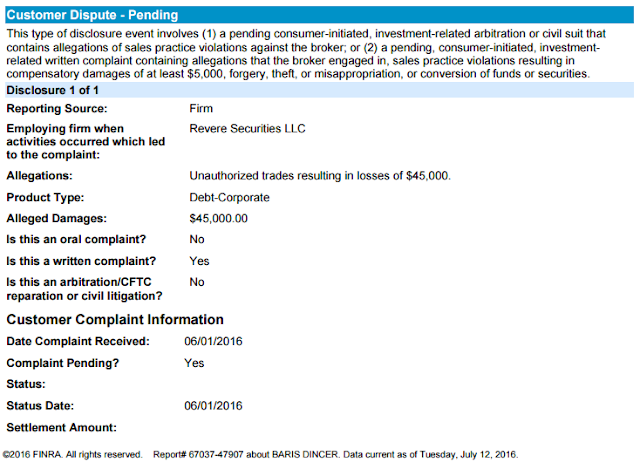 We understand that FINRA has been alerted to Mr. Dincer’s omission but Case No. 13-03605 is still not on his BrokerCheck report today. As we suggested in Things Go From Bad to Worse for BrokerCheck, fixing some of what is wrong with BrokerCheck is easy. Arbitration claims, including Case No. 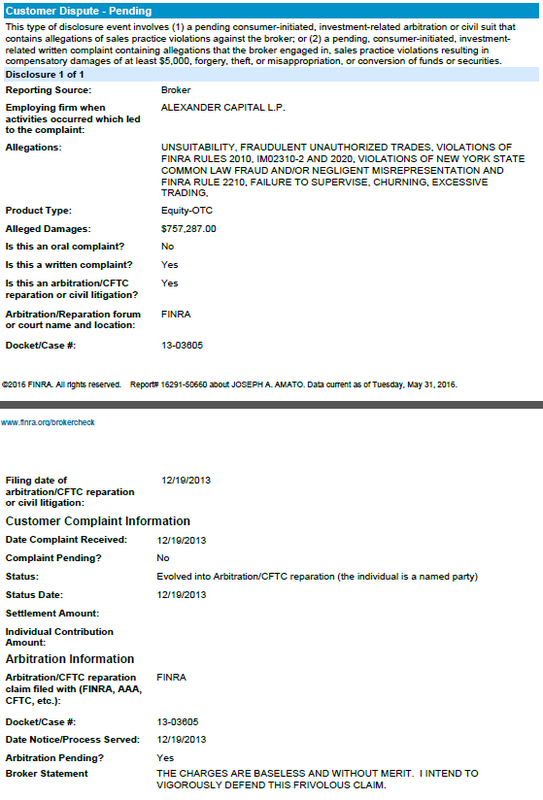 13-03605, are filed with FINRA. 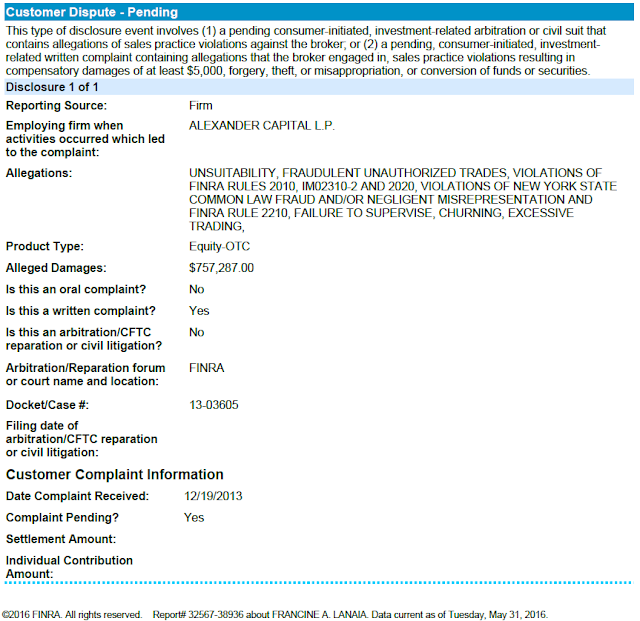 It would be easy for FINRA to force brokers like Mr. Dincer to file accurate U-4s by simply auditing a sample of submitted Statements of Claim and punishing those brokers and brokerage firms who don’t accurately maintain their BrokerCheck records with substantial fines and/or suspensions. 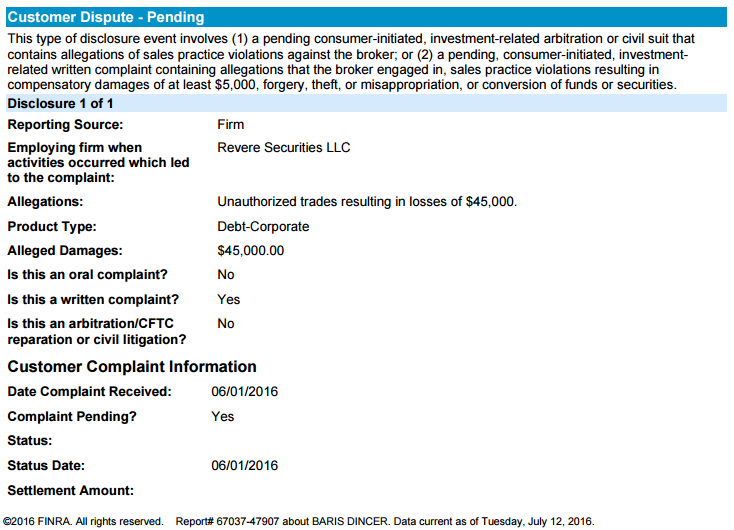 FINRA wouldn’t have to review 100% of Statements of Claim; thorough review of 10% or 20% of filings - focused on the high risk firms - with swift corrective action after 30 days if a registered person does not update their U-4 should be sufficient to improve compliance and thereby protect investors from brokers like Mr. Dincer.